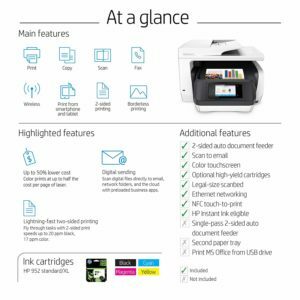 HP M9L75A#B1H OfficeJet Pro 8720 All-in-One Wireless Printer with Mobile Printing, Instant Ink ready – White (M9L75A) is now available at Amazon.com for just $179.89 (REG $299.89) (As of 11 February 2019, 18:31 PST – Details) with $120.00 (40%) Savings. 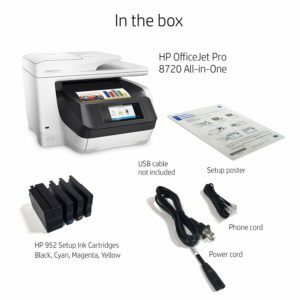 Main functions of this color all-in-one wireless printer (black): copy, scan, fax, wireless printing, AirPrint, 2-sided duplex printing and scanning, color touchscreen, auto document feeder, Instant Ink ready so you’ll never run out of ink, and more. 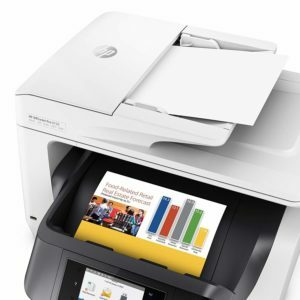 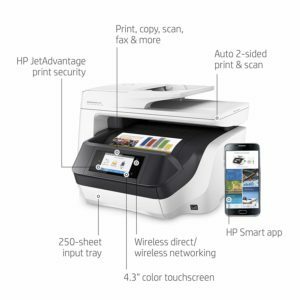 Mobile printing: print from anywhere using your smartphone or tablet with the free HP ePrint app, easily print from your iPhone with AirPrint, print without a network using Wi-Fi Direct printing, touch to print with NFC capability. 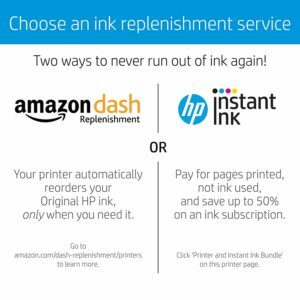 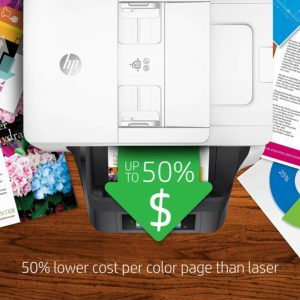 Space-saving HP Print Forward Design delivers laser-like paper handling and superfast print speeds. 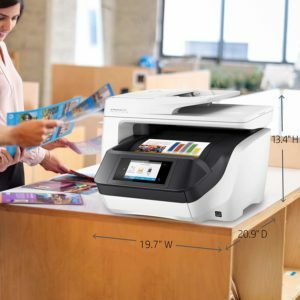 Breeze through multipage documents with two-sided scanning. 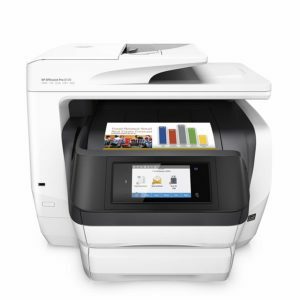 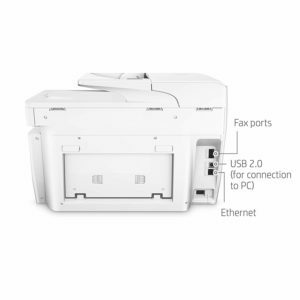 Easily manage print jobs directly at the printer with the 4.3-inch touchscreen. 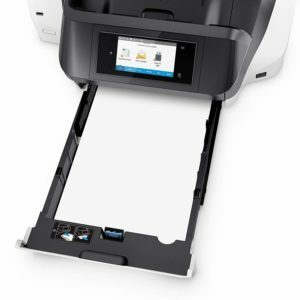 This all-in-one printer offers full support for productive, high-volume offices. 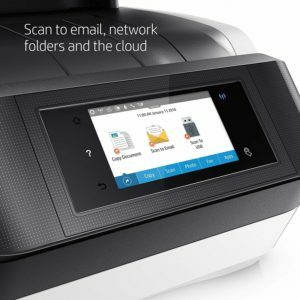 This device is designed to print up to 30,000 pages per month for small workgroups of up to 5 users. 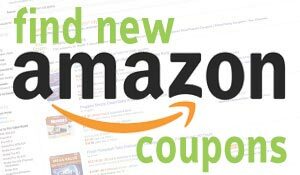 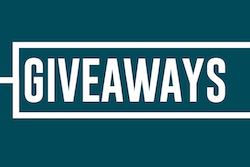 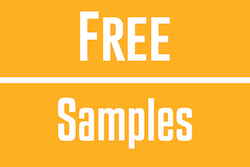 Paper sizes supported: Letter; Legal; Government Legal; Executive; Statement; 3×5 in; 4×6 in; 5×7 in; 13×18 cm; 8×10 in; 10×15 cm; L; Photo 2L; Envelope (#10, Monarch, 5.5bar); Card (3×5 in, 4×6 in, 5×8 in).